Preheat oven to 375°F. Spray ramekins with baking spray. 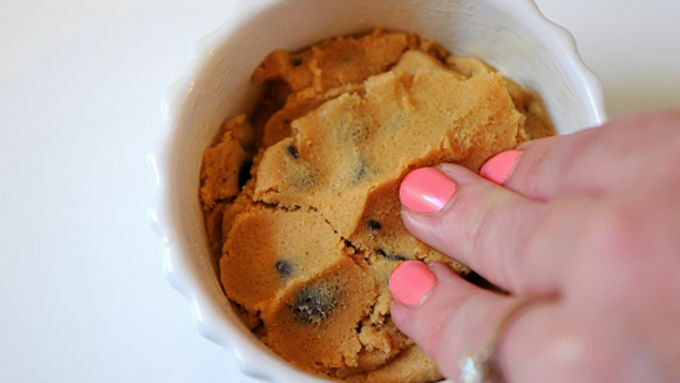 Place three of the cookie dough circles into a ramekin. 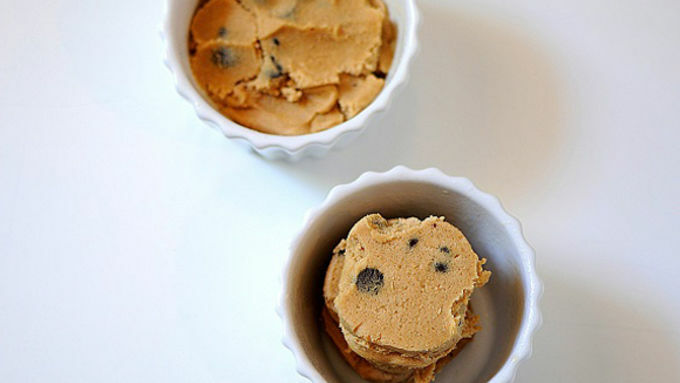 Press the cookie dough evenly and firmly into the bottom of the ramekins, covering the entire bottom. Do this for all four ramekins. Place ramekins on a baking sheet and bake for 18-20 minutes, or until golden-brown on the edges and still a little golden and soft in the middle. If you feel they are getting too brown you can tent with foil. 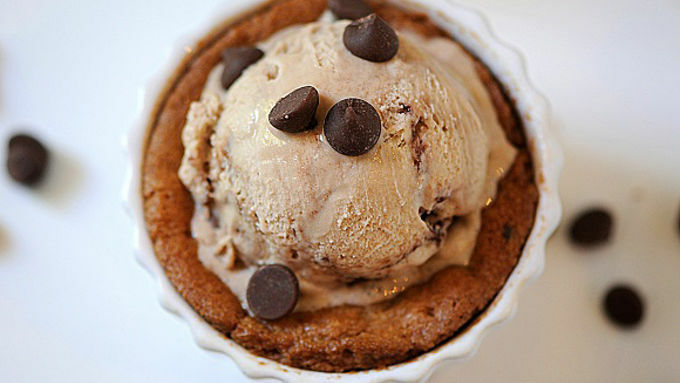 Remove from oven and let cool for at least 5 minutes before serving, with or without a scoop of ice cream on top. (Cool completely if serving with ice cream so the ice cream does not immediately melt.) 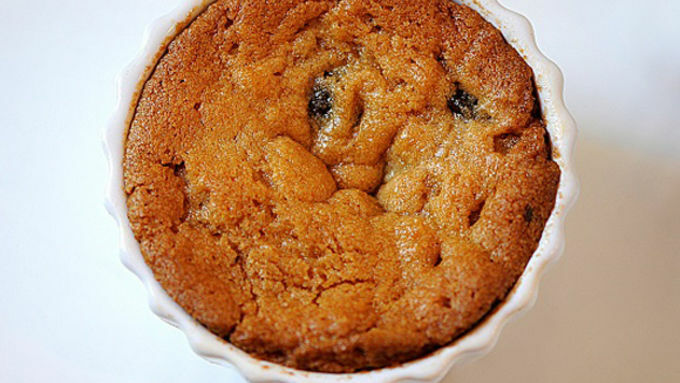 Top with extra chocolate chips if desired. 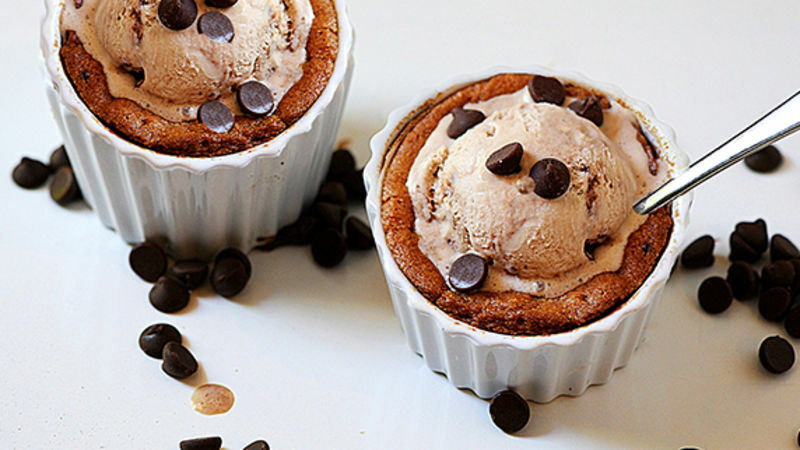 Three cookies -- one dish -- one awesome delish dessert! One thing I love about Deep Dish Chocolate Chip Cookies, other than the obvious fact that they are chocolate chips cookies, is that it’s like having three cookies in one…but it’s okay because it’s only one dessert. So you get away with eating three cookies for the price of one. Yay! There is nothing better than a chocolate chip cookie fresh and hot from the oven. Deep Dish Chocolate Chip Cookies because they are baked in a ramekin they are the perfect size for a scoop of ice cream on top! Of course this could be made with any kind of cookie dough so the possibilities are pretty much endless: Oatmeal Raisin with cinnamon ice cream, Sugar Cookie with cake batter ice cream, Peanut Butter Cup with chocolate ice cream. See lots of options! 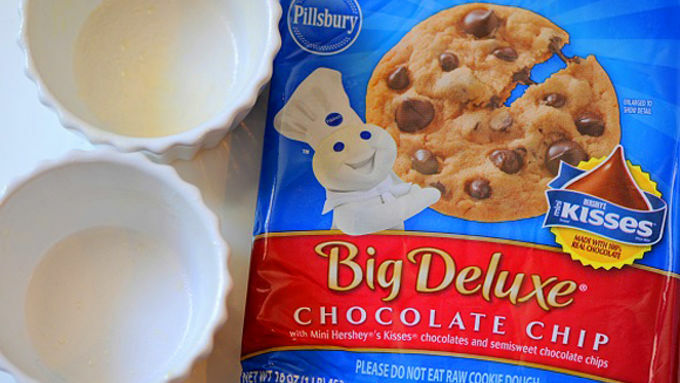 Sprinkle with chocolate chips on top -- and enjoy!